Around 850 participants gathered in Seoul, South Korea, in October for the third Global Alcohol Policy Conference. Being a meeting place for policymakers, advocates and researchers, the three day program included more than 120 presentations in 32 plenary and concurrent sessions. 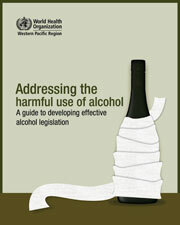 The second Global Alcohol Policy Conference was held in Seoul, South Korea, 7 - 9 October 2013. During the three deys a substantial number of papers were presented on the conference theme "From local and national action to global change". Some of these presentations are available for download in the article below. "The price we are paying for the drinking culture in Africa today is that we loose many of our young people", said Professor Isidore Obot (Nigeria) in his overview of the African situation at the KBS meeting in Kampala, Uganda. As a developing country Malawi cannot afford to divert our scarce resources from basic needs such as education and food to alcohol consumption.With these words the Malawian Minister of Home Affairs, Hon Earnest F. Malenga, opened a conference on alcohol as an obstacle to development on the 12th of November 2008.